Tootal is one of England’s oldest brands founded in Manchester in 1799. Their distinctive paisley and polka-dot scarves have always been popular and became a key fashion accessory in the 1920’s and again during the 1940’s and 50’s. This was the time when the Tuxedo was being adopted by all well dressed men, not just the gentry, and a Tootal scarf worn with your dinner suit was the height of cool. 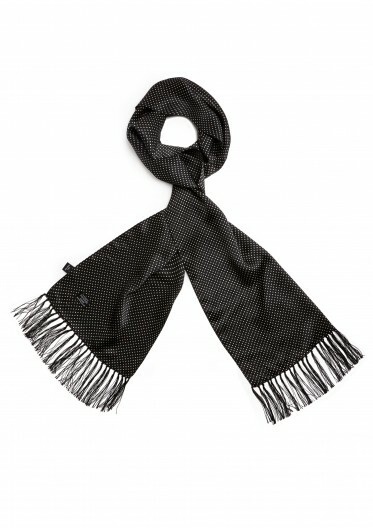 Tootal enjoyed a revival in the 1960’s when the scarves were adopted by Mods and are today worn by the likes of Paul Weller, Liam Gallagher, Pete Doherty and Robbie Williams. If you’ve never heard of these old guys, don’t worry. This look is perfect for you anyway.